Country singer-songwriter, Jason Aldean is coming to Farm Bureau Live on Friday 16th September 2016! Bringing with him fellow superstars, Thomas Rhett & A Thousand Horses as they bring fans an exciting performance. Jason Aldean is embarking on his North American tour "We Were Here", fittingly named after the successful 2015 single. These groundbreaking talented artists will certainly make their mark and leave fans with an unforgettable experience. 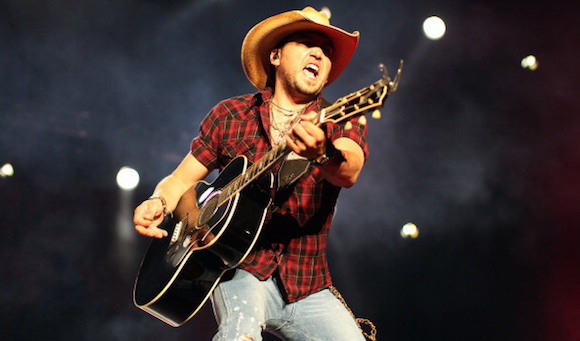 If you are lucky enough to be able to attend, be sure to roll on down this Fall to see Jason Aldean LIVE in action! Back in 1998, Jason Aldean packed up and moved to the legendary Nashville to begin his journey in Country music. As a talented singer and songwriter, he signed a contract with Warner Chappell Publishing, here he began to write and live his life with pure dedication to his musical ambitions for the next few years. After his hard work for many years, he had his pay off that he truly deserved, with his 2005 debut album released on the independent label, Broken Bow Records. The record certified platinum and six more studio albums afterwards followed in the same footsteps. Now, Jason Aldean has had a whopping 10 million album sales and 14 number one singles on the Country Radio charts (with another 8 reaching the top 10)… it's no wonder that Jason Aldean is a firm favourite of the country music scene!